The NFTS is – and always has been – a production house. The site has been a working film studio since the 1920s, and while the School’s state-of-the-art facilities have come a long way since those days, the ethos is very much the same. 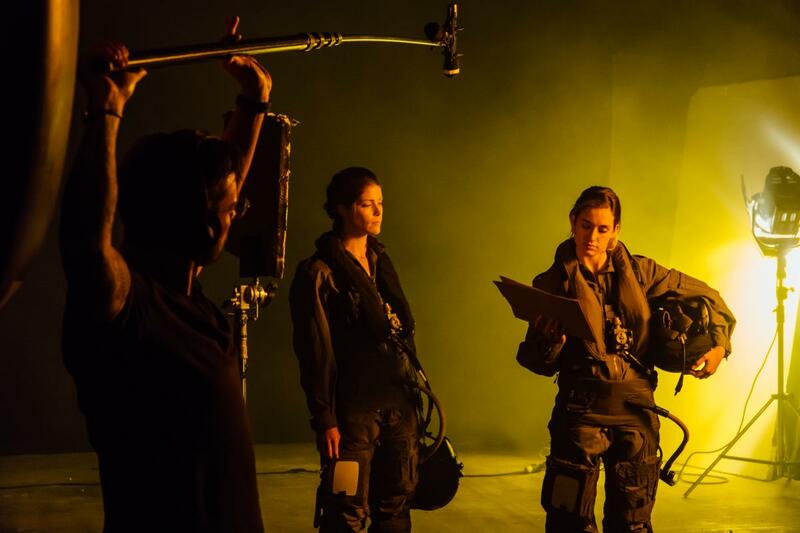 NFTS students are given 24/7 access, 364 days a year to the largest production facilities at any UK film school. 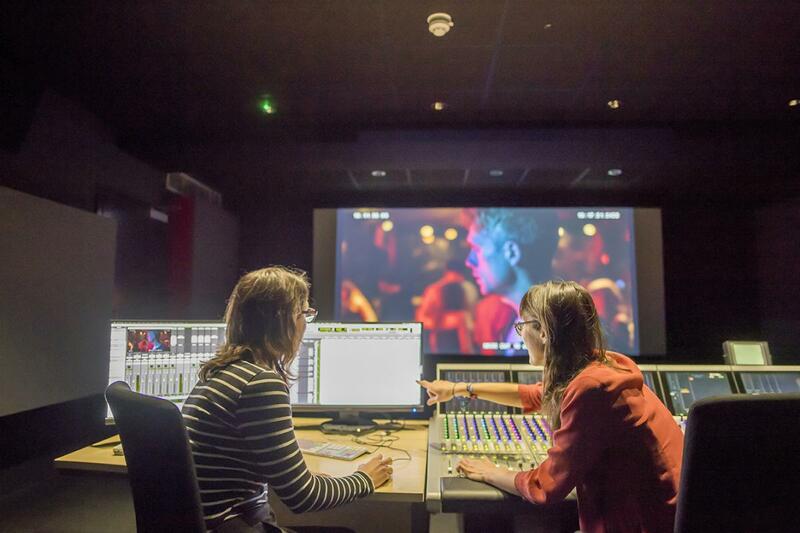 Not only do these include our studios, but also our sound and dubbing theatres, over 50 top of the range cameras, the latest editing software in dedicated suites, our Dolby Digital Surround Cinemas, and more. 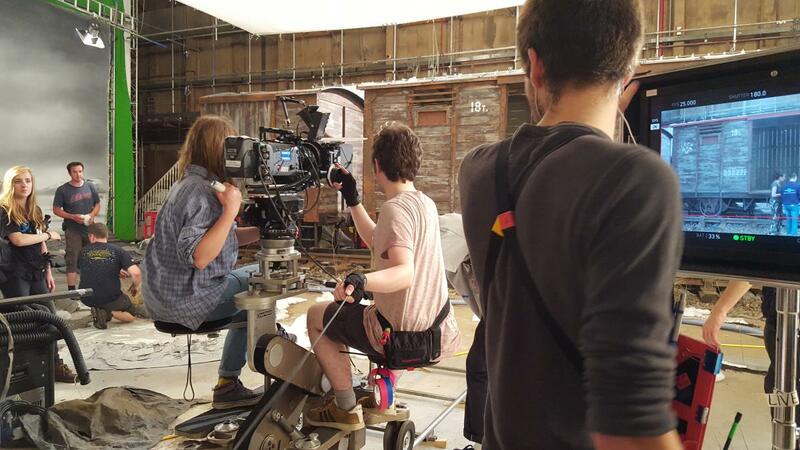 We are the only UK film school with its own industry standard film studio and 4K Television and rehearsal studios. 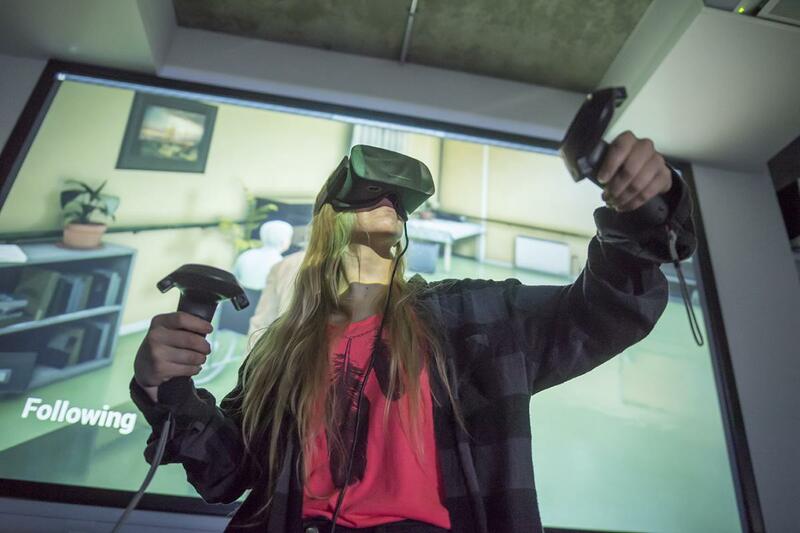 With a recent £20m investment in the School, we offer cutting-edge dedicated workspaces for all courses, making our student experience unparalleled at any other UK creative institution. 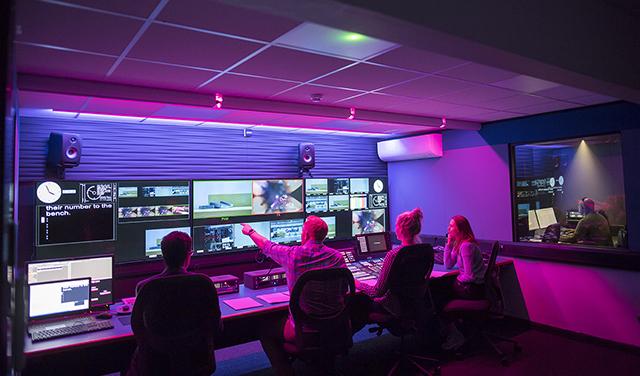 These unique facilities are designed to prepare students for real jobs and enable them to create award-winning films, TV shows and games. NFTS students are given 24/7 access, 364 days a year to the largest production facilities at any UK film school – and we won’t charge you extra for the cost of productions or materials. The Main Film Studio, originally built in 1921, when the NFTS was a working film studio is now refurbished and fully equipped to the latest industry standards. This studio is used for major productions. The Rehearsal Studio accommodates smaller set builds and has lighting distribution at floor level. The Teaching Block Studio was new for 2017. With a resin floor it can be used for both television and film productions. The Sky 4K Television Studio was fully refitted in 2017. It has state-of-the-art UHD TV Galleries with HDR monitoring, and can facilitate large-scale multi-camera, television productions. Dubbing Theatres are fully equipped with the latest Avid, Dolby and ProTools equipment. Our largest dubbing theatre is based in the original Anvil recording studio, where many famous scores were recorded, including those for the Hammer Horror films. It has a large size dubbing area with full size cinema screen. The Music Recording Studio is fully fit out with industry-standard equipment to record live music and sound to picture. Our range of over 50 film and digital video cameras includes Arri Alexa, Alex Mini, Arri SRIII (S16mm), Aaton XTR Prod(S16mm), Aaton 35mm, Blackmagic Ursas, Pockets and Mini Ursas (including outside broadcast ability), Sony FS7, Canon C200 and Panasonic DVX200 Doc/Broadcast cameras. A large stock of grip equipment and a wide range of lighting allows students to maximise their creativity in any situation. The sound location recording equipment consists of current industry technology. Equipment available to students includes Sound Devices 664, 688 & 744 Recorders, Audio Ltd 2040 &1010 Diversity radio Microphone, AKG, Sennheiser, Neumann and Schoeps mic, Panamic & Ambient Booms, IEM systems for production sound distribution, and many more. The school has its own well stocked Prop Store and maintains close relationships with a wide range of external prop houses to help facilitate the diverse nature of student productions. We also have a selection of drapes and green screens available for student productions. All our courses have dedicated workspaces and our post-production courses have dedicated suites. Our post production facilities rival many professional post houses and are continually updated to keep pace with new innovations. Composer Studios. Our 16 studios are equipped with Apple Mac workstations running Logic. Editing Facilities consist of a large number of specially equipped cutting rooms for digital and 16mm film editing. They are supported by viewing and transfer facilities, 16 NLE systems running AVID Media Composer and Adobe Premiere. In addition to the dedicated editing suites there are multiple suites open to all students. Design Studios offer each production design student a designated work station with drawing board, computer, model making table and storage. Computers are loaded with the latest design software, plotters and a 3D printer. Animation Studios, offer each animation director, in their first year, their own desk area with computer in a shared studio space. In the second year, students have their own small rooms to use as a production base. Workstations are fully equipped with the latest design and animation software. The Channel 4 Rose Building is home to our Games Design and Development and Digital Effects MAs. Games Design and Development Lab, was brand new for 2017. There are two large dedicated studios containing a suite of Alienware Aurora development workstations – one per student. Each machine is based around Intel i7 processors with Nvidia Geforce GTX 1080 graphics cards. They are all kitted out with the latest software and specialist game development tools. Digital Effects Labs were brand new for 2017. They are cutting-edge labs, with workstations for each student. Each machine has the latest colour grading and compositing software. The new Teaching Block and Ossie Morris Building provides students with computing facilities for all our other courses. For more information on the dedicated facilities per course, please visit the course web page. 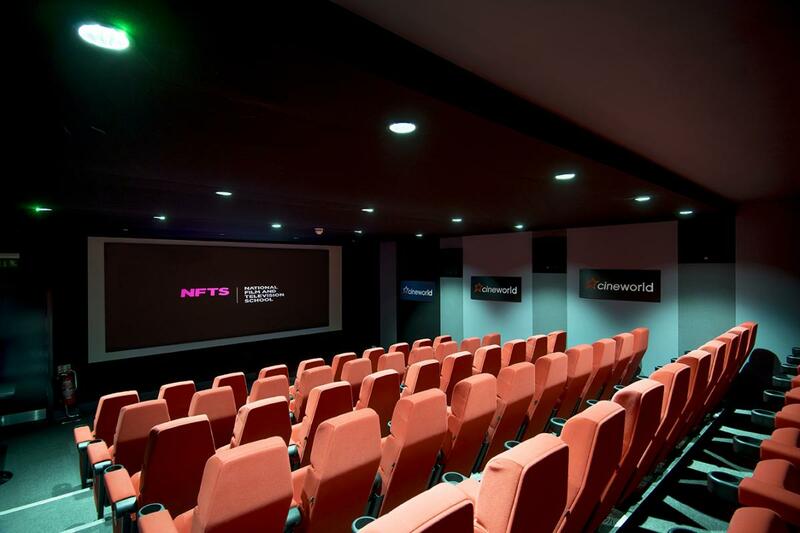 There are three cinemas at NFTS. They are used for rushes and work-in-progress screenings, as well as curriculum and exclusive screenings of pre-released films and serve to host our masterclass programme where high profile guests can screen work to students. All NFTS students can attend the School’s masterclasses programme, with recent guests including Christopher Nolan (Dunkirk, The Dark Knight, Interstellar), Lynne Ramsay (You Were Never Really Here) and Armando Iannucci (The Thick of It, Veep, The Death of Stalin). This has self-operation facilities for playback of files using Avid and Premiere, DVD and Bluray as well as 35mm projection. To support all this activity and our extensive facilities and equipment stores, we have technical services staff, professional electricians and fulltime carpenters/set builders on hand to support both learning and productions.